Many know her, some have one time or the other heard about her or her name, whichever one it is, giving kudos to her matters. On behalf of the entire Oasis Media crew, I use this opportunity to wish no other person but a lady who soars high despite challenges faced, the one with great prospect and vision, the one filled with boldness, purpose, bravery and determination. 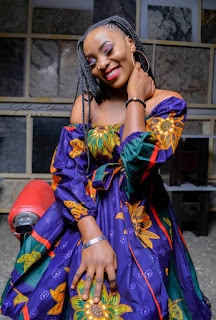 On this day, I wish the President of Nigerian Union of Campus Journalists (NUCJ), Adekunle Ajasin University, Akungba-Akoko, Ondo State; Adekola Mercy, Temitope a happy birthday as she celebrates yet another year on earth. Your emergence as the Best Campus Broadcaster in Nigeria has truly defined what your tenure, executive members, and NUCJ AAUA members are made of as greatness evolves around them all. We wish you nothing but joy, peace, long life, prosperity, greatness, and Grace of God. Once again, on behalf of entire Oasis Media Board of Editors, Executive arm, and members; accept our felicitation. Editor-in-Chief, Oasis Media Group, AAUA.